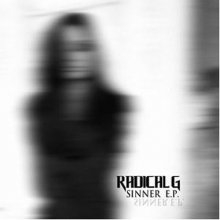 Hold on tight for this one, after "Shadowdancing" Belgian artist RadicalG is coming on strong with this "Sinner E.P." This 4 track slammer doesn't need much introduction. "Teufel kind" is a downtempo electro pearl with typical dark vocals and stomping beats. "Fright night" comes with that demonic twist of analogue power which is hard to find in electronic productions these days. If this ain't enough "Blitzkrieg" will be for sure, this EBM sounding electro monster will bomb your dancefloor with rockets and granates against 118 BMP while the title track "Sinner" makes it complete, using that all known 90's rave sound of the classic Roland alpha juno synth. A mix of dark electronic songs, a must have for the dark generation who's into EBM sounding electro/techno.